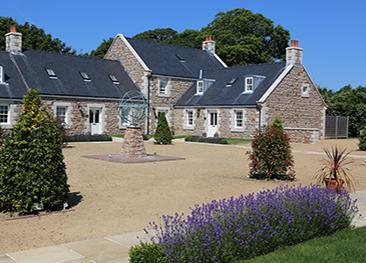 The resort's selection of self catering lodges, villas and cottages are unrivalled in the Channel Islands, with options for couples families and groups. 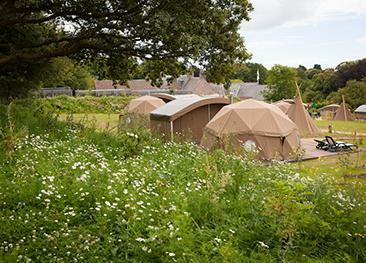 There is no on-site shop at Les Ormes. The nearest shop is a Mace store at the garage which is approximately 10 minutes walk from the resort. There is also a small shopping precinct and 2 small supermarkets a short drive or 30 minute walk away. There are no restrictions to the day you can arrive but there is a minimum stay requirement of 3 nights. 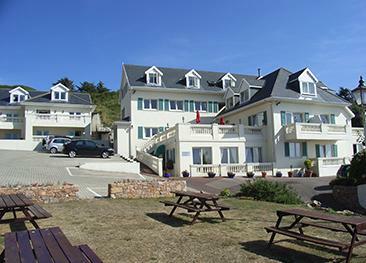 Les Ormes Terrasse features six granite-clad self catering units, all with two double bedrooms and able to sleep up to four adults and one child. Each Terrasse unit lives up to the Les Ormes five star standard, with an open-plan downstairs kitchen and lounge accessed via an outdoor decked area, a downstairs double bedroom and en-suite shower room, and an upstairs double / triple bedroom with house bathroom. The kitchen features a dishwasher, oven with hob, microwave and washer / dryer. There is also a large screen digital television. The Terrasse units also have their own hot tubs. The lodges also have their own hot tubs. Dogs are accepted in most units (excluding Lizard Apartments, Squirrel Apartments and Le Tir) on a request basis and charged at £100 per stay. Dogs are provided with a welcome pack including a bowl, bed, treats and dog waste bags.